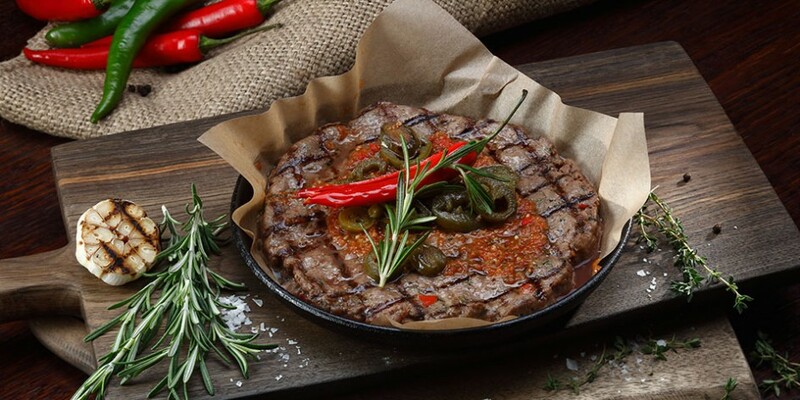 Minced steak is one of the most popular truly manly dishes which is cooked on an open fire. It has a tender and juicy texture, splendid flavor and rich taste. The main condition of a right minced steak is the absolute freshness and highest quality of meat. We make minced steaks only from premium marbled beef, over an open fire in a wooden stove. P.S. Immodest servings for the real men! 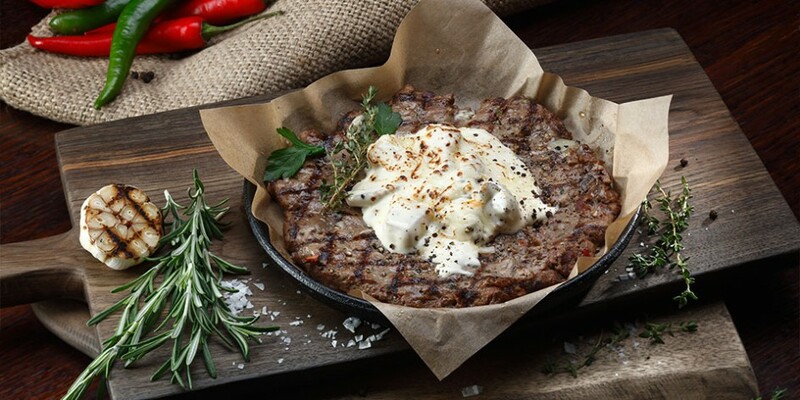 JULIENNE Minced steak –a juicy minced steak made of premium beef with Dijon mustard, tender Mozzarella cheese and roasted julienne made of porcini mushrooms with white wine and Parmigiano cheese. 480 gr. - 1570 rub. 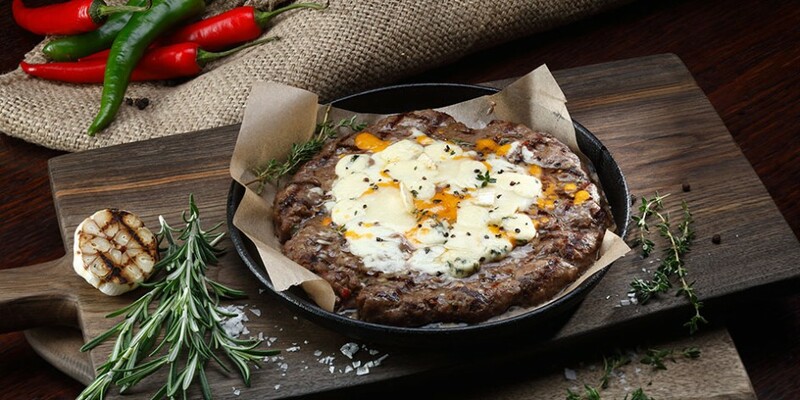 FOUR CHEESE Minced steak – a juicy and flavorful minced steak made of marbled beef with the most tender Mozzarella and Gorgonzola cheeses, savoury Gruyere and classic Cheddar. 380 gr. - 1570 rub. JALAPENO Minced steak– the most popular minced steak made of grain-fed beef with several types of hot pepper fiery red chili, chipotle and jalapeño. 430 gr. - 1570 rub. Finish a hearty lunch or dinner with a light dessert cooked by an original recipe of our chef. “Anna Pavlova” - a melt-in-your-mouth meringue cake with whipped mascarpone cream and fresh exotic fruit - mango and passion fruit.